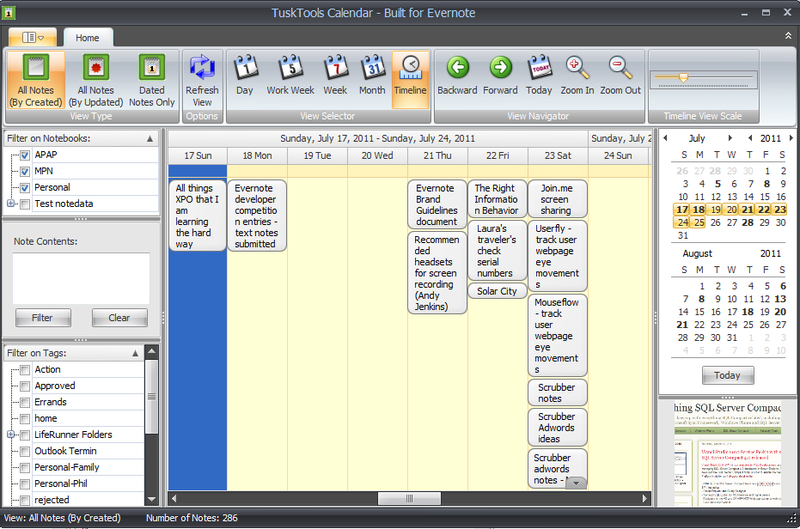 TuskTools Calendar brings calendaring capabilities to your Evernote information. Easily create appointments, meetings, events, due dates and reminders, using your own notes within Evernote to create an easily modifiable yet powerful calendar system. 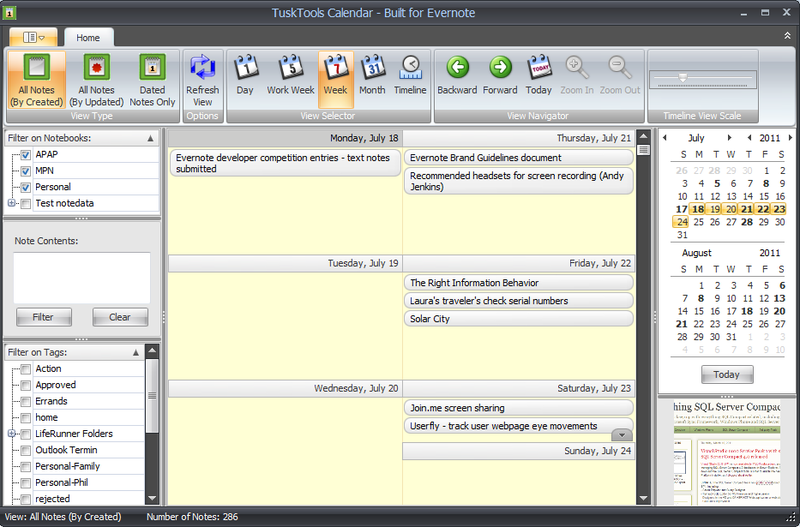 In addition, TuskTools Calendar allows you to view all of your Evernote notes chronologically in a rolling timeline format, viewable by when your notes were created or modified. 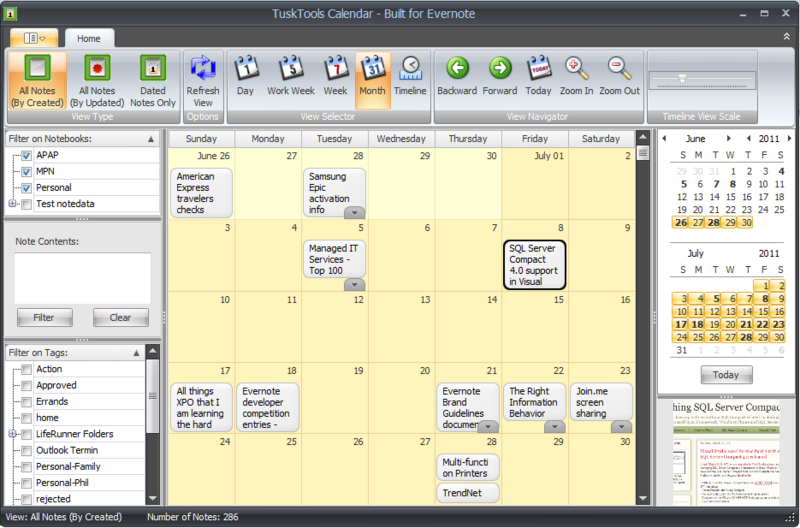 And TuskTools Calendar will automatically synchronize your Evernote appointments and events with your Google Calendar or Outlook calendar. You can create, modify and move appointments and events from anywhere – within Evernote, from the TuskTools Calendar screen, or via your Google Calendar or Outlook – and they will be synchronized to appear everywhere.